Tuolumne Meadows in Yosemite National Park. Photo by Kenny Karst. Tioga Road is open for the summer and the weather is fine in Yosemite National Park. With so many options to choose from, how do you decide where to go and what to do during your visit? Certainly any area of Yosemite can provide experiences filled with wonder, but one area in particular provides the opportunity for a summer filled with memories of the High Sierra: Tuolumne Meadows. Located on Tioga Road CA 120 at an altitude of 8000 feet, the Tuolumne Meadows area is inaccessible in winter when the road is closed. 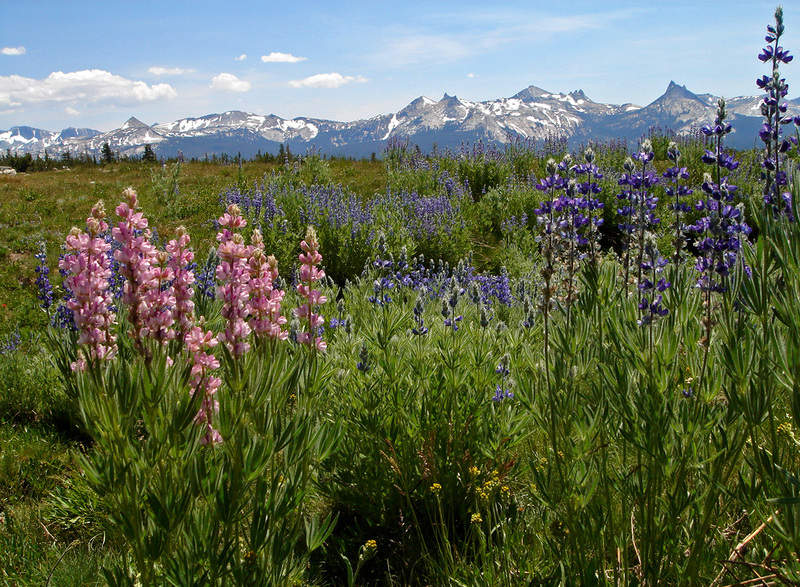 This limited accessibility creates a short but sweet summertime window of opportunity to visit high alpine meadows and streams, along with some of Yosemite’s highest peaks. 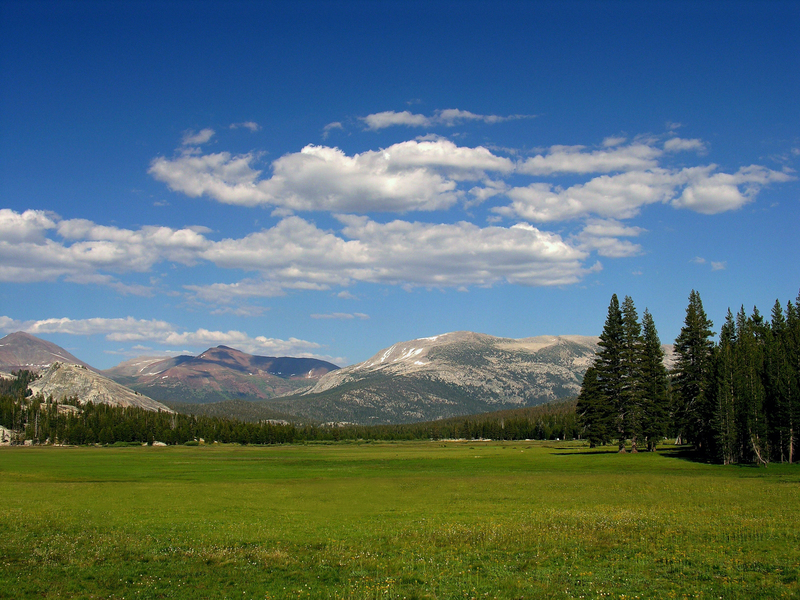 Though services are available in Tuolumne Meadows, the High Sierra views are unobstructed. In addition to camping and tent cabin lodging, Tuolumne Meadows has a visitor center, wilderness center, store, a grill restaurant, a gas station, a stable and an outpost of the Yosemite Mountaineering School. 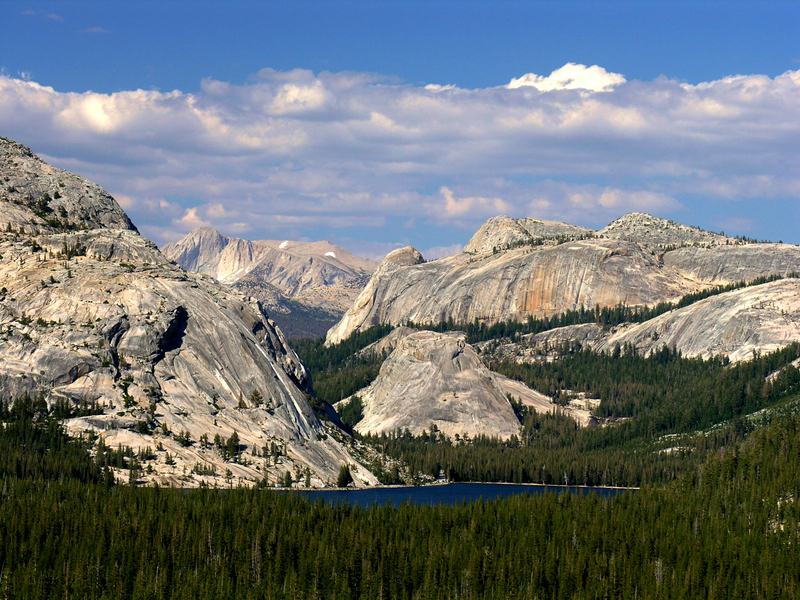 The following top five list of things to do in Tuolumne Meadows gives you an overview of this stunning slice of the Sierra Nevada in Yosemite. 1. Hiking: Tioga Road is littered with trailheads that can take you deep into Yosemite’s backcountry or offer simple sightseeing. Soda Springs and historic Parsons Memorial Lodge, Lembert Dome, Mount Dana, May Lake, Pothole Dome, the John Muir Trail, Cathedral Lakes, Twin Bridges, and Elizabeth Lake are among the hiking options in this area. 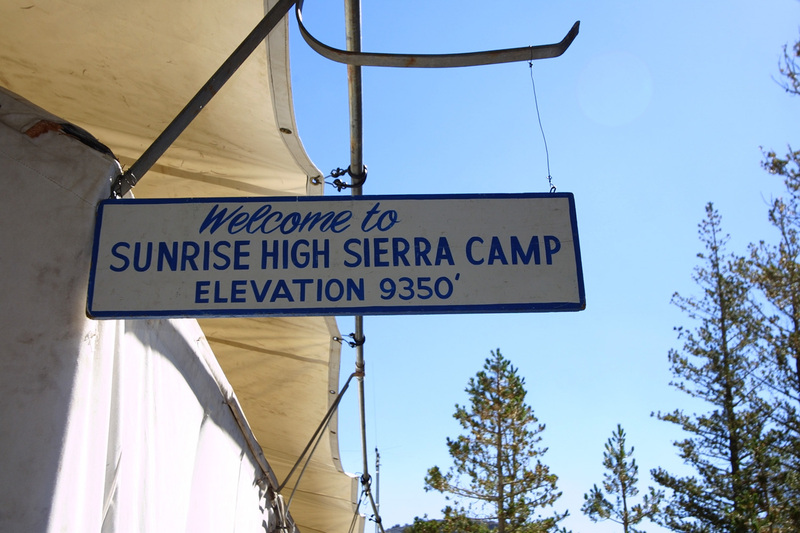 These high-elevation hikes range from an afternoon stroll along the Tuolumne River to Twin Bridges to traversing the Sierra Nevada on the John Muir Trail. 2. 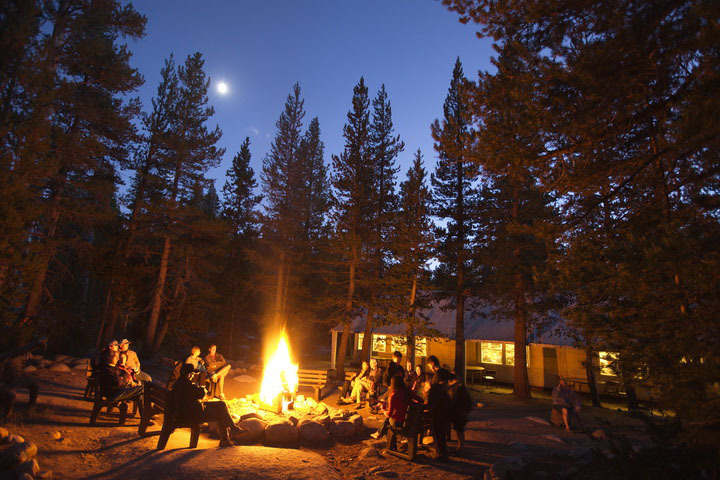 Camping: Tent cabin lodging and family-style dining is provided at Tuolumne Meadows Lodge and the Yosemite High Sierra Camps. Traditional camping can be found at the national park system’s largest campground in Tuolumne Meadows. Camping allows you to experience the Yosemite landscape up close with opportunities for hiking, wildlife viewing, photography, fishing, swimming and more. But no matter where you lay your head in the High Sierra, the access to the night sky filled with stars will fill you with wonder. 3. Dining at Tuolumne Meadows Grill: Menu favorites include burgers & fries, veggie chili, breakfast, and ice cream cones. You won’t find a dining room at the rustic Tuolumne Meadows Grill, but you will find tasty take-out options after a long summer hike in the high country. Picnic tables are available outside the restaurant and store, where you can trade adventure stories with other hikers and climbers. 4. Photography: Tuolumne Meadows are beautiful alpine meadows riddled with wildflowers in the summer, Tenaya Lake is an easily accessible alpine lake with sand beaches made for summer swimming, Mount Dana provides amazing views of the Sierra Nevada at 13,000 feet of elevation, the Tuolumne River carries snow melt from the High Sierra to points below and the night sky is brilliant with exceptional opportunities for night sky photography. 5. 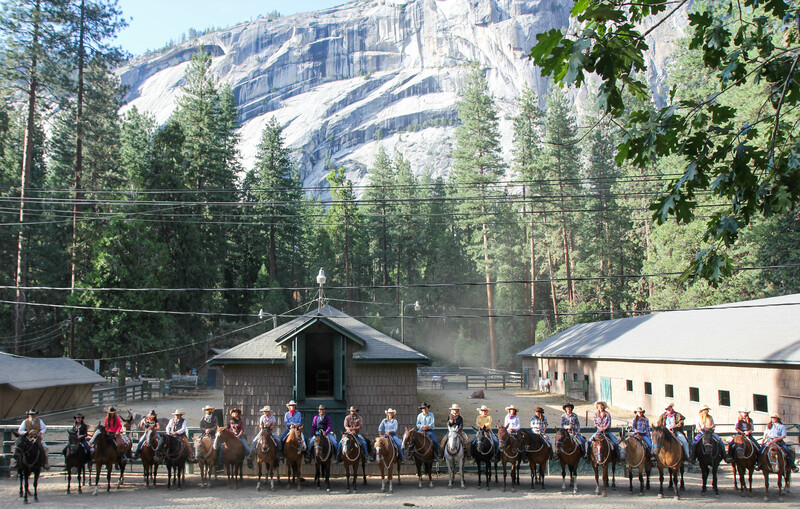 Trail Ride: Take a day trip on a mule at the Tuolumne Meadows Stable and visit Tuolumne View on the Young Lakes Trail, an ideal lookout point for Cathedral Range, Johnson Peak and Mammoth Peaks or take a half-day ride and visit Twin Bridges on the Tuolumne River just above Tuolumne Falls. If you can’t bear to leave the beauty behind, commit to an extended backcountry experience with a saddle pack trip to one of five High Sierra Camps (or take the 50 mile loop and visit them all!). This article was published in the Yosemite in Focus newsletter for the month of June. Get stories about Yosemite delivered right to your email inbox every month by signing up here: Yosemite Newsletters.